has worried some economists, because it makes the U.S. more vulnerable to major shifts in the global economy. But it also could show strengthening confidence in the American economy. 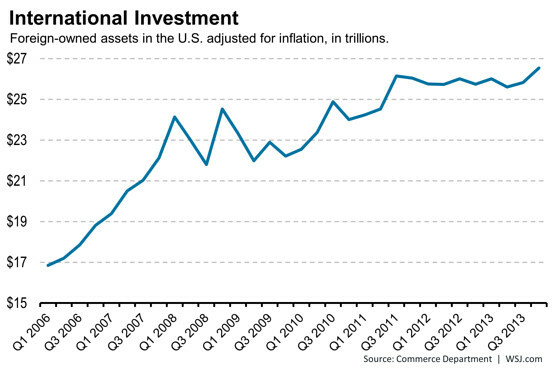 These gains are largely due to the rising US stock prices rather than more investment. However in the housing sector, I do think rising property values are attracting even more new capital for investment – whether for new development or unit purchases. We can see this in markets like New York City and Miami. Foreign investors seem to be chasing safety and a long term equity play.